1. San Salvador. 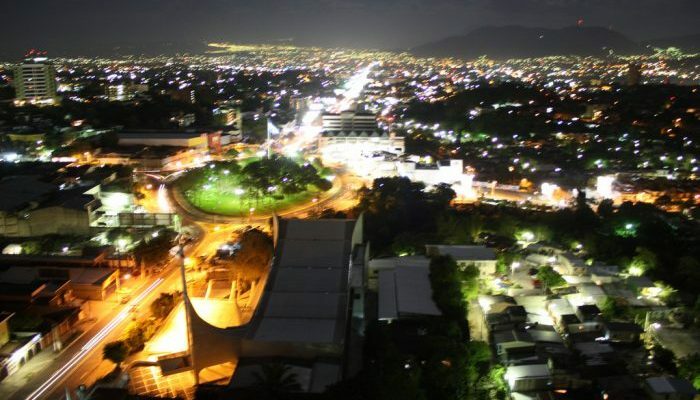 You haven’t hung out in El Salvador unless you’ve hung out in San Salvador, the engine that drives the country, and of course, the capital city. It’s not a beautiful city, but neither is it an ugly one. It could even be called pleasant, especially when compared to other Central American capitals. Indeed, the nicer parts of the city are very nice, with tree-lined avenues, high-end boutiques and malls, and a cosmopolitan feel. To know any country well enough, you need to be where the people are. And in El Salvador, most of them are in San Salvador. 2. Suchitoto. 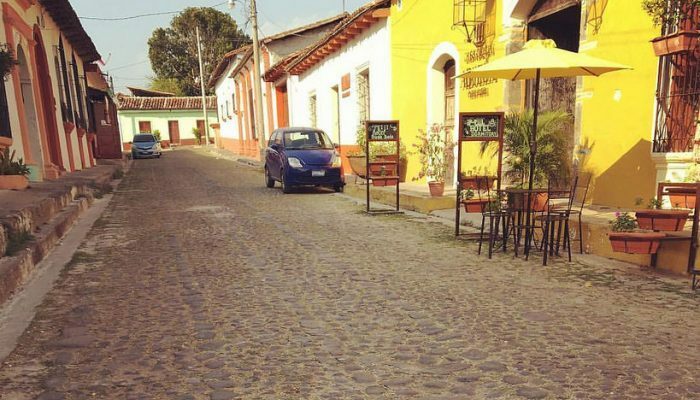 Suchitoto is El Salvador’s colonial jewel. If tourism ever takes off in a big way in El Salvador, the chances are that Suchitoto will be at the heart of things. This is nothing new to this town. It has been at the heart of things in El Salvador since before there was an El Salvador. It’s where the Pipil settled a thousand years ago and where the Spanish founded their first settlement. Today Suchitoto is a beautifully-preserved town that is a pleasure to walk around and soak up the vibes. It’s also a cultural center where artists live. The stores and markets are full of unique treasures. 3. The Beach. 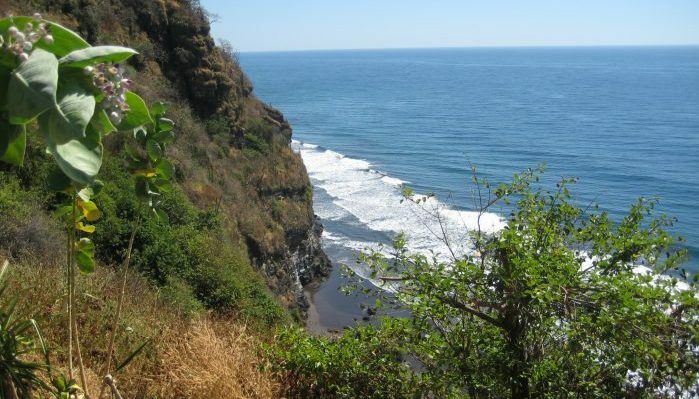 El Salvador’s coastline is 307 km (191 miles) long, giving it the shortest stretch of shore in Central America. So it makes the most of what it has. Sun, sea, surf, and sand. It has it all in spades. El Tunco is El Salvador’s beach ‘n’ party spot. It’s packed at weekends with revelers from San Salvador and backpackers on the Gringo Trail wanting some sand to lay on for a few days. 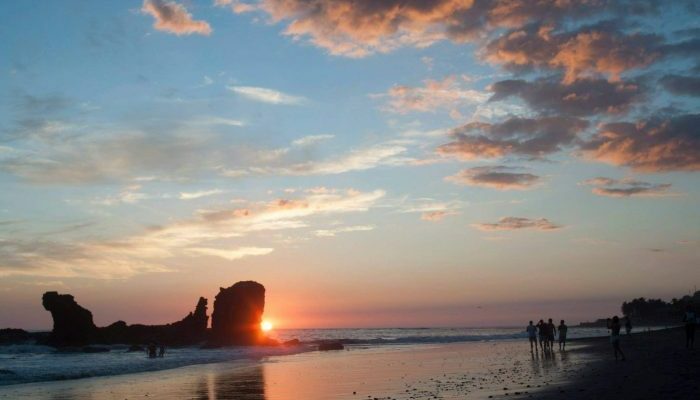 Nearby La Libertad is famous all over the surfing world for its right, which is one of the best on the planet. El Cuco offers a more mellow vibe. Wherever you are in El Salvador, you’re not far away from a beach and it would be a crime to not check one out. 4. Perquin. Holed up in the mountains, the small town of Perquin sits surrounded by pine forests, rivers, and tumbling waterfalls. The climate is cool and fresh up here, and it’s worth visiting for that alone. Hiking opportunities abound. But also Perquin is essential for understanding more about El Salvador’s devasting civil war. This was the where FMLM guerrillas had their headquarters. The area underwent severe bombing from government forces throughout the conflict. The Museum of the Revolution is here, with some fascinating artifacts from the war. Unmissable. 5. The National Parks. 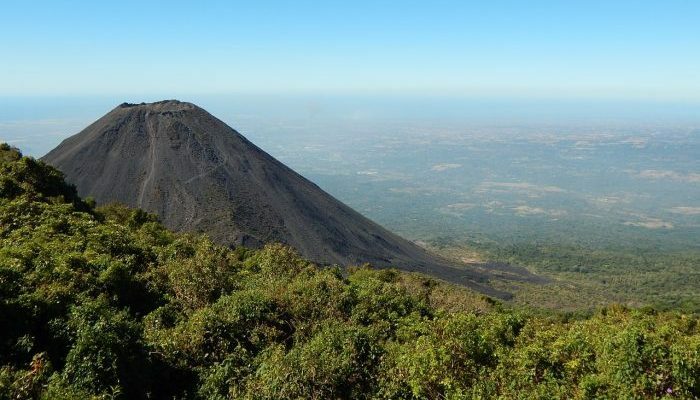 El Salvador’s largest national park is in the west of the country, near to Guatemala, where mountains rise above the Pacific Ocean. Named after a gorge that was “impossible” to cross (it used to claim the lives of many who tried back in the day), El Impossible National Park offers some of the best wildlife-spotting opportunities in the country. The hiking here is second to none. The other great park is the Los Volcanoes National Park. Here three volcanoes sit next to each other, each one a symbol of El Salvador. El Salvador likes to let off steam as much as anybody. Most of the action takes place in the second half of the year, but really, any time is good. When there isn’t a party, the sun is out and the surf is up. January. New Year’s Day. Like everywhere else, this is a day for relaxing. The Holidays are over and work beckons. January is a time for renewal in El Salvador, but if you can get away from the city, the sun is shining all day and it’s hot hot hot. February. February is one of the best months of the year, weather-wise. You don’t need an organized festival or event when the weather is this good! But if you were looking for something to do, the Festival of Art & Culture is Suchitoto is a great option. The festival lasts all month and celebrates art, theater, and film. March. March 17 is the Feast of San Jose, the patron saint of the town of Agua Caliente in northern El Salvador. This is cowboy country and in cowboy style, the day is celebrated with a rodeo and lots of partying. April. Easter Week will fall in March or April. Like elsewhere in Latin America, this means processions and reenactments of the Passion of Christ. Most towns in El Salvador will have something going on but the general consensus is Sonsonate and Izalco both put on the best shows. Both of these towns mix up Christian and indigenous traditions to create something rather unique. May. May 1 is Labor Day and is celebrated with marches. May 3 marks the Day of the Cross, which in El Salvador is traditionally the first day of the rainy season, or “winter”. People make a crosses out of jicote wood and adorn them with seasonal fruit. Guests wander from house to house eating the fruit. This tradition goes back to the Pipil people way before the Spanish conquest, but now has elements of Christianity thrown in. Mother’s Day falls on May 10 in El Salvador and is when families make sure that they get together. The first Sunday of May is a good time to head to the town of Panchimalco, where annual Palm Festival takes place. This festival dates back to Maya days and is celebrated with brightly colored flowers, palms, parades, and entertainment. June. El Salvador is one of the few countries that celebrates Father’s Day on a fixed date – June 17th. July. The Fiestas Julias take place during the second half of July in Santa Ana, El Salvador’s second largest city. During these two weeks, Santa Ana hosts cultural events, parades, and lots of live music. It’s a perfect time to check out this town. August. August is the busiest month in El Salvador’s calendar. There’s a lot happening. The month kicks off with the Festival of San Salvador, a week-long celebration of the country’s patron saint. Music and parades are the order of the day. Simultaneously going on during this week are the Fiestas Agostinas, a series of cultural events and parties that take place all over the country. It’s often hard to see which event is celebrating which feast, but as long as everyone is having a good time it doesn’t matter. The mountain village of Perquin also hosts a Winter Festival during August (dates vary) that attracts revelers from all over the country, who dress up in costumes and dance. And then there is the Balls of Fire festival to close off the month. Hosted in the town of Nejapa to commemorate a volcanic eruption, people soak balls of cloth in kerosene, set fire to them, and throw them at each other, rather like a snowball fight in hell. Think of it like bull-running craziness except with fire. Accidents happen, but it’s fun. Apparently. Big parties and merriment accompany the fire throwing. September. Like many other countries in Central America, El Salvador celebrates its independence on September 15th. Everyone gets out on the streets and patriotic parades take place. October. The Dia de la Raza is the modern name for Columbus Day. No longer as important as it used to be, it’s still an excuse for a drink if you get the day off. November. 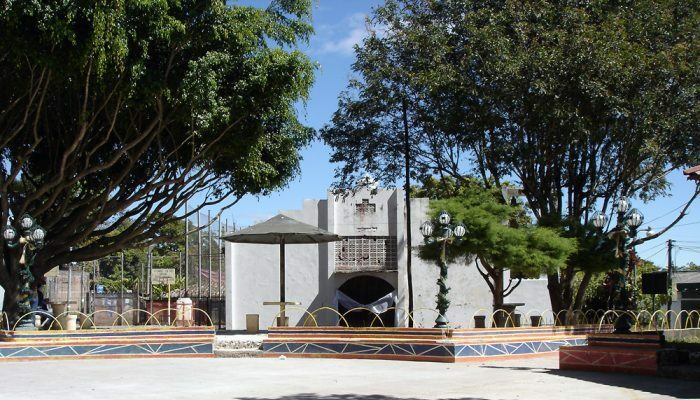 The city of San Miguel holds its annual carnival in November, for the whole month. It’s all about the music here, and the streets become a dance floor for 30 days. It’s one of the biggest parties in the country and great fun, especially on the last Saturday of the month. November is when El Salvador pays homage to its national dish, the pupusa. The second Sunday of November is National Pupusa Day. Pupusa eating contests and other such events are held all over. December. December means one thing in El Salvador. Christmas! It’s a time for families to come together, and also time to get out to the beach or the countryside with the people you love to have a great time.